We raise heritage breed turkeys for various reasons. Most importantly is to contribute to the promotion of and education regarding some of these rare breeds. 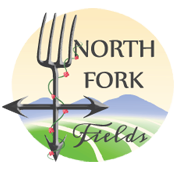 We like the slow growing turkey breeds that produce superior depth of flavor in its meat. We also enjoy the food history experience of raising turkeys that are comparable to what our ancestors would have eaten. We are currently raising White Hollands which are believed to have been brought from the New World to Europe by the early explorers. The turkeys were then bred with white European turkeys and re-imported to the colonies by Dutch settlers and other European immigrants. 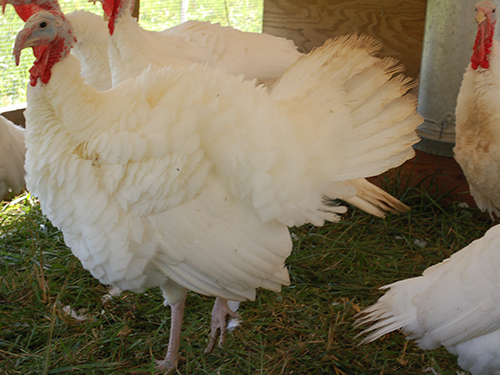 We have also raised Midget White turkeys and along with the White Hollands are our favorite breeds. Both breeds thrive exceptionally well on our pastures.